In addition to the guide's salary I charge for the guide's costs (transportation, accommodation with half-board, lift tickets, etc.). 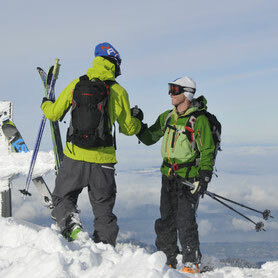 Furthermore I guide challenging ski tours and offpiste runs only with small groups up to 4 people. See more in terms & conditions. In addition to the guide's salary I charge for the guide's costs (transportation, accommodation with half-board, lift tickets, etc.). 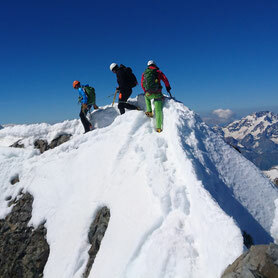 Furthermore I guide challenging mountaineering tours only with one guest per guide. See more in terms & conditions.